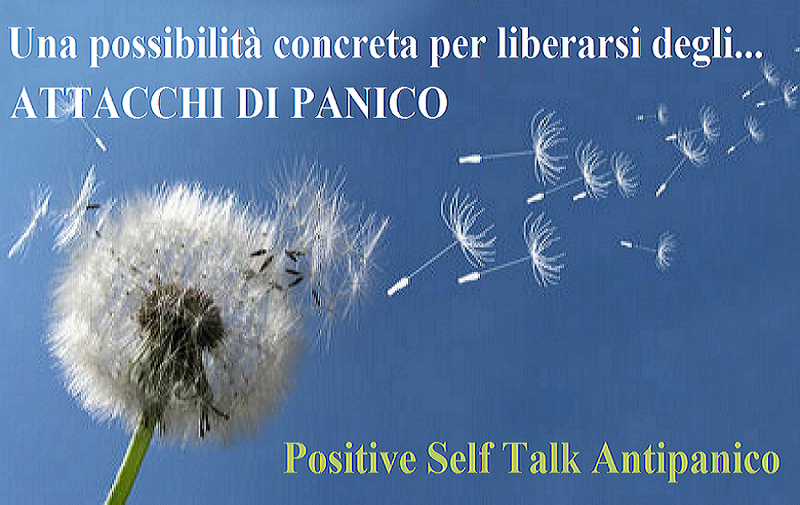 The origins of Positive Self Talk Against Panic have roots that date back to the late nineteenth century. It was developed by Alexandre Simonet in 1989 and inspired by Positive Self Talk emotional for achieving personal success devised by Napoleon Hill (October 26, 1883 - November 8, 1970) which in turn was inspired by Andrew Carnegie (November 25, 1835 - August 11, 1919). The work of Hill, was first advised and then brought forward by William Clement Stone (May 4, 1902 - September 3, 2002). It was with this' last, Alexandre Simonet that he was able to establish long and lasting friendship, which began in the late seventies and lasted until 2002, year when Stone died. Simonet was immediately fascinated by the techniques developed by the two, and for years he continued to be passionately interested. In 1987 he was caught during a diving, chilling his first episode of panic attack and from that moment, his indomitable spirit prompted him to spend every moment of her life to finding a solution that allowed her to return to live a peaceful existence. The successes of Positive Self Talk by Hill and Stone, who had so deeply marked his life took him through the years that followed, to prepare and develop the Positive Self Talk Against Panic, a method that could leave thousands of people from the nightmare of 'anxiety and panic generated by it, he himself first. *26 février 2009 Universitè de la Sorbonne: Journée d'étude: Alexandre Simonet: QUESTIONS LOGIQUES ET PSYCHOLOGIQUES. Exposés d'Arnaud Dewalque, Julien Servois, Éric Dufour, Robert Brisart, Denis Seron. *XVIII CONGRESS OF THE INTERNATIONAL SOCIETY OF PSYCHONEUROENDOCRINOLOGY, Chapel Hill, North Carolina, June 28 - July 3, 1987 with the relation: "Psychoneuroendocrine reactivity to emotional stress and aging"
*ANXIETY : PSYCHOBIOLOGICAL AND CLINICAL PERSPECTIVES, organizzato dalla World Health Organization, Roma, July 46, 1988, con la relation sended: prof. Alexandre Simonet "Biological and psychological correlates of anxiety : the role of psychoendocrine reactivity as a marker of the anxiety response"
. *France Television (France o) condùit par Sèbastien Folin; Interwiew à Alexandre Simonet, le positive self talk e la panique Jan, 23, 2009. *Rai radiotelevisione italiana international; medicina 33: -il Positive self tak e la cura del panico- in studio Alexandre Simonet. *Московского государственного университета (Lomonosov Moscow State University) Extreme Psychology and Psychological Aid; "Positive Self Talk Against Panic".